The unprecedented expansion of the air transport sector to meet the growth in air traffic across Asia Pacific brings with it considerable challenges, not least the need to enhance safety standards. Safety is fundamental to the air traffic management industry and there is always more that can be done to ensure that in our endeavours to optimise capacity and performance, we are not distracted from the industry’s foremost commitment to safety. NATS manages some of the most complex airspace in the world, and we have achieved excellent levels of safety performance. NATS was one of the world’s first air traffic management providers to implement a safety management system 24 years ago that we apply across all of our operational activities. 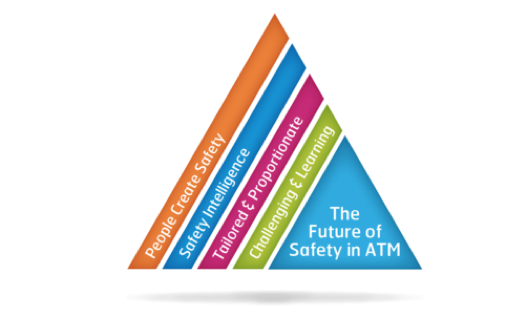 Our approach to safety is governed by four strategic themes that recognise what we have done in the past and our current strengths, and also challenge us to think about safety in a different way. Firstly, “People Create Safety”. Safety comes from individuals taking personal responsibility and ownership. Our actions and behaviours reinforce the principles the company stands for and that includes making the right decisions for safety. We recognise that safety IS our business and that safety and business principles must be fully integrated. NATS defines safety to mean ‘as many things as possible go right,’ not just ‘as few things as possible go wrong.’ Our “Safety Intelligence” theme creates methods that allow us to anticipate, predict and control safety in the operation by understanding everyday performance. By developing methods of safety assurance that are more “Tailored and Proportionate” permits NATS a variety of ways of providing the assurance we require rather than limiting us to a prescriptive approach. This allows more flexibility to support our growth ambitions and take advantage of safety assurance developed by our international partners. The fourth theme “Challenging and Learning” recognises that NATS needs to foster a culture of challenge in the organisation to guard against complacency and to anticipate the unexpected. We operate in a wider air traffic management world and we regularly collaborate with others to address the risks to our business. NATS is bringing these guiding principles and our expertise and experience in safety to our collaborations with aviation authorities in Asia Pacific. Our experts recently assisted the Civil Aviation Authority of Singapore (CAAS) with validating their safety systems and designing measures to improve operational efficiency, helping to ensure Changi Airport’s high safety standards and operational capabilities are mission-ready as the airport expands its capacity to 82 million with the completion of its fourth terminal in 2017. As the rest of the region gears up for the dramatic growth in air traffic by boosting capacity and optimising performance, NATS looks forward to the opportunity to help authorities in this region bolster aviation safety.